Can be used on bare or finished wood to give a high shine and durable finish. Not recommended for use in high moisture situations. Hazard safety codes: F, Xn. 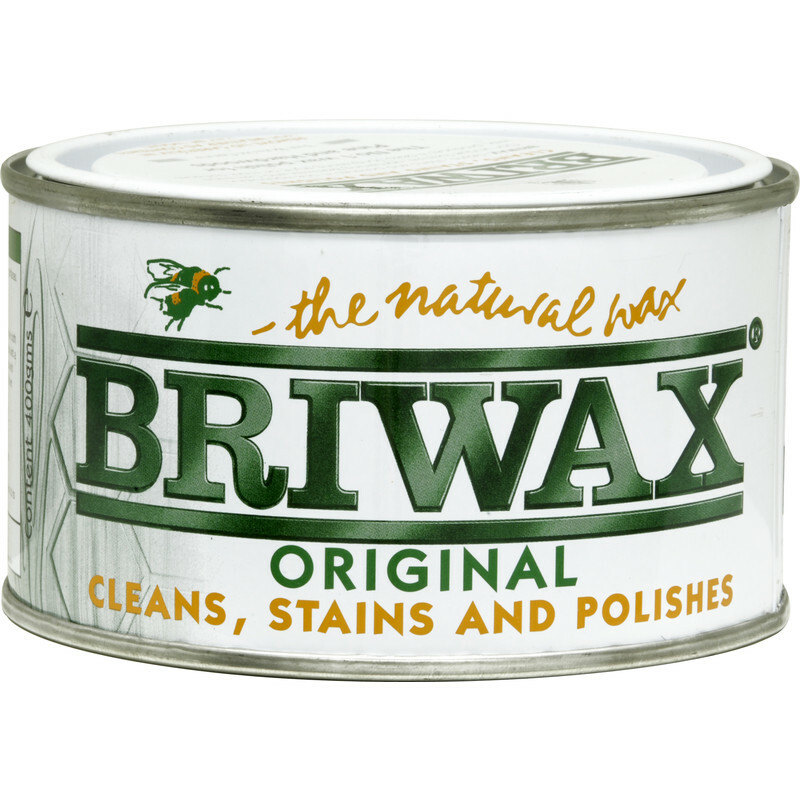 Briwax Original 400g Antique Pine is rated 4.9 out of 5 by 49. Rated 5 out of 5 by Doogal from I wouldn't use any other wax. The best wax on my opinion, and always great prices and next day delivery from Toolstation. What's not to like? Rated 5 out of 5 by Picky painter from Lovely to work with. I’ve just waxed my Welsh Dresser on cleaned up wood and over chalk paint and it’s cover both really well. Rated 5 out of 5 by Wane from Impressive Results and Excellent Value for Money I used this product on an untreated piece of Oak with superb results. Just a couple of coats really lifted the grain and I was delighted with the finish. Rated 5 out of 5 by Beanos Dad from Can't Beat It Bought to finish a previously treated floor. Several waxes, and other finishes, tried over the years. Brands used include other "big names". Briwax never disappoints. Easy to apply. Dries quickly to allow polishing. I used a power polisher. Good rich finish achieved easily, with plenty of character. Rated 5 out of 5 by jamiealpine from EXCELLANT WAX Really pleased with it.Used it on my solid oak furniture, which produced a deep buffed shine as well as treating the wood. Rated 5 out of 5 by Julie10 from Easy to use Used product on pine dining table and chairs brought up like new. Rated 5 out of 5 by TRNC1 from Easy to use I have been using this stuff for for over twenty years no problem so far.